Now there's a coincidence, I picked up the Enchanted April at the airport on our way out to Dubai last month, wanting something not too bulky to haul around . Like you, I loved it, and savoured it, not reading it too quickly, partly to enjoy the wonderfully witty writing and mostly because I didn't want it to end! Being transported to glorious Italian gardens in the heat and sand of Dubai was an interesting contrast. I researched it a bit and found that it has been made into a film at least twice so when we got back I bought the DVD of the BBC one but of course it lost most of the subtlety of the writing and didn't have as much of the glorious scenery as I'd hoped. If you would like to borrow it, though, just say! The book is now sitting at the top of my re-read pile as I suspect I may enjoy it just as much second time around. Btw, I was able to download the complete works of vonnArnim to my kindle for a couple of pounds, no fancy cover but still a bargain. Delightful reading and, as you say, a glimpse of a very different society for women. Well you certainly did some traveling! So glad you liked them ! I am rolling along with a John Connelly book called "Drop". It's so hot here that I keep falling asleep when I read! lol oh well. You can read for both of us lol. 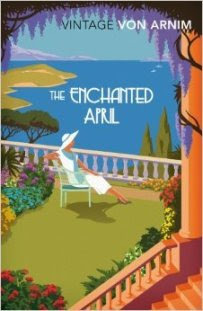 I have also really enjoyed The Enchanted April. It's been so long since I read it, would be nice to visit again. Rosie: What an odd coincidence! I didn't want it to end either, I wanted to know what happened with Lady Caroline and George Briggs and so on. I have seen one adaptation... the one with Josie Lawrence, Miranda Richardson and the wonderful Michael Kitchen. But it's years ago so if that's the one you have then yes please I would love to see it again. Or even if it's another one I wouldn't mind seeing it. We must meet up some time in the summer, it would lovely to see you again. My book was a library one, but I'm sure I'll be buying it for myself, either as a job lot for my Kindle, as you suggested, or as a one-off. 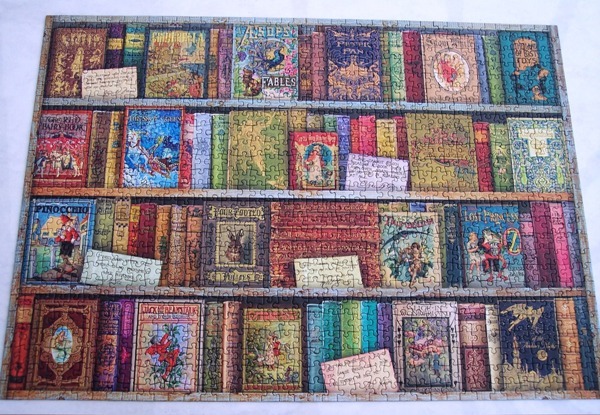 We're away next week so I might see if I can spot it in a bookshop. I might do the Kindle thing anyway as I suspect some of her books are hard to find and not very cheap. Pat: I really did do some wonderful travelling. LOL! John Connelly has a book out called 'Drop'? Not heard of that, will go and have a look. Jeane: I think it's a book that really would bear rereading. I have a list of such books which I must get to... Anne Frank for instance. Cath, both books sound wonderful. 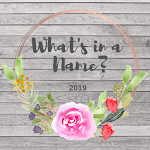 I am of German descent (maiden name is Brintzenhofe!) and I can’t fathom how a nation was taken in by such a monster! I downloaded several von Arnim books several years ago but have yet to read any. I got them free on Project Gutenberg I believe. Saw the film The Enchanted April and liked it. I really want to read the book now! I think it would be so much fun to do what these women did. Anyone up for a trip somewhere?! 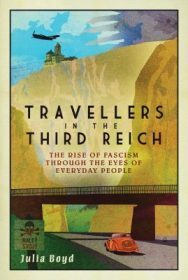 Travellers in the Third Reich sounds very interesting. I tried to read the second book by Richard J. Evans about The Third Reich (the Third Reich in Power) and I could not finish it because it was so depressing. But this approach might be more readable. And I am interesting in the topic. I will have to look into the movie Enchanted April just on the basis of having Michael Kitchen in it. I like his acting very much. Peggy: I can't fathom it either but I suppose we're looking at it from a 21st century perspective. Plus, the general view is that back then the German character was such that they liked order and rules in society and Hitler brought plenty of that. My nephew spent a lot of time there back in his twenties (1990s) and says the people are still rather like that, they obey the rules. I think it's how they dragged themselves back up after WW2. I'll have a look on PG for the Von Arnim books. Oh yes, I'd definitely be up for a trip to Italy, have always wanted to see The Med. Tracy: I've not heard of the book by Richard Evans, will look into it. I suppose it is a depressing subject, how can it not be, but Travellers in the Third I found to be quite an upbeat sort of a book, certainly not depressing. It questions without wallowing in the subject. Tracy: I forgot to say... I like Michael Kitchen very much as well. One our best British actors in my opinion.